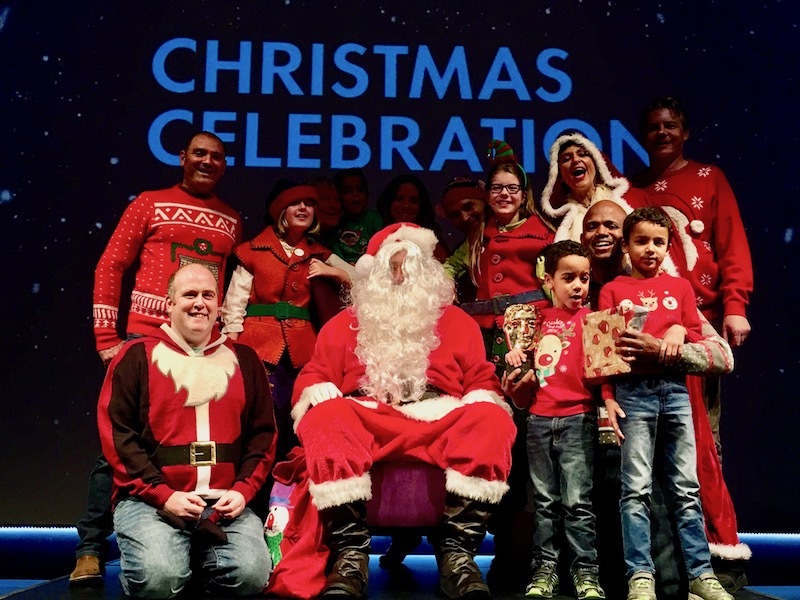 The world premiere of the Our Family Christmas special took place on Sunday 10th December 2017 as part of the first BAFTA Kids Christmas Celebration in central London. Guests of honour were the stars of the episode – Nathan, Josh and Zach along with their parents and Grandad. The event was hosted by the wonderful Dr Ranj and, in addition to Our Family, the audience were treated to a selection of festive episodes from the Clangers, Digby Dragon, Hey Duggee, Peppa Pig and Sarah & Duck. There was also a visit from the big man himself – Santa! The Our Family Christmas Special will be shown on CBeebies at 1745 on Thursday 14th December. Shot over the festive period last year, the show follows Nathan, Josh, Zach and their family as they celebrate the big day.